Vinco is a leader in innovation and design for Stainless steel tapware products, in both commercial and residential applications. We take pride in delivering health and wellbeing around Australia’s communities and business’s and place the highest standards on manufacturing requirements to deliver this to you. Lead is a highly toxic heavy metal, that can have serious health implications, both to you and your family. 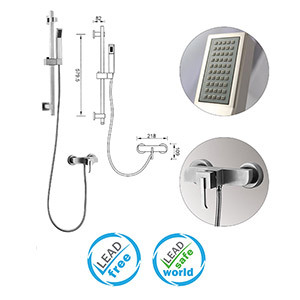 Click below for more articles on the dangers of not using lead free tapware. Australian parents have been warned of the potential risks of giving children tap water after a study uncovered widespread lead contamination in household plumbing. More than half of tap water samples taken from households in NSW were found to contain lead, a study conducted by Macquarie University has revealed. One in 12 exceeded the maximum amount of lead permitted by Australian Drinking Water Guidelines. Plumbing and tap fittings have been identified as the major source of lead contamination, meaning even clean water is at risk of contamination, the researchers said. Most at risk are young children and babies who drink formula made with tap water. Lead exposure can have a serious effect on early brain development, increasing the risks of cognitive damage, lower IQ and behavioural problems. While the study focused on regional NSW, researchers said the same types of taps and plumbing fittings were used nation-wide. Most brass plumbing fittings sold at popular hardware stores contain some lead, according to the researchers. In contrast, the US virtually prohibits lead in taps and plumbing fittings, excepting those used for manufacturing or industrial purposes. Researches have advised concerned people to check fittings for lead content and, if needed, replace them with lead-free plumbing fittings and taps. Installing water filters may also reduce the risk. Rainwater tanks can also be contaminated from roofing, peeling paint and lead-based filters or pumps, researchers said. The new study findings come more than 20 years after Australia’s National Health and Medical Research Council (NHMRC) suggested limiting or prohibiting the use of lead in plumbing systems. “Use of products containing lead could be prohibited from use in drinking water or plumbing systems…[which] would be of benefit in reducing the exposure of children to lead,” the NHMRC said. 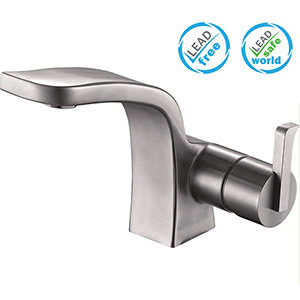 Most Tapware manufacturers make tapware products of Chrome, Nickel, Copper or Stainless Steel. But the fittings inside of the tapware body is made from GR Brass which contains toxic Chemical like Lead, Arsenic etc. Vinco Stainless Steel Tapware does not contain any brass fittings. 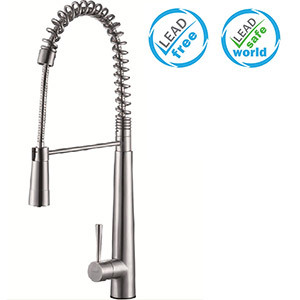 Consequently Vinco Stainless Steel Tapware products are the safest products in current Australian Tapware Industry. The total cost of ownership of buying a Stainless-Steel Tap Mixer is far cheaper than buying a brass Tap Mixer. Smart consumers do not look at just the unit cost of a product, they look at the overall cost of owning the product. Brass fitted tapware requires a consumer to purchase additional filter whereas Stainless Steel does not require such thing as it contains no toxic chemicals. Moreover, Standard Watermark, water Rating and extensive warranty features make Vinco Stainless Steel Tapware more cost effective in the long run. What to check and compare when purchasing a Tapware? What are the specifications and features? Does it have Water Mark and Wells Rating? Does it comply with Australian Standard?